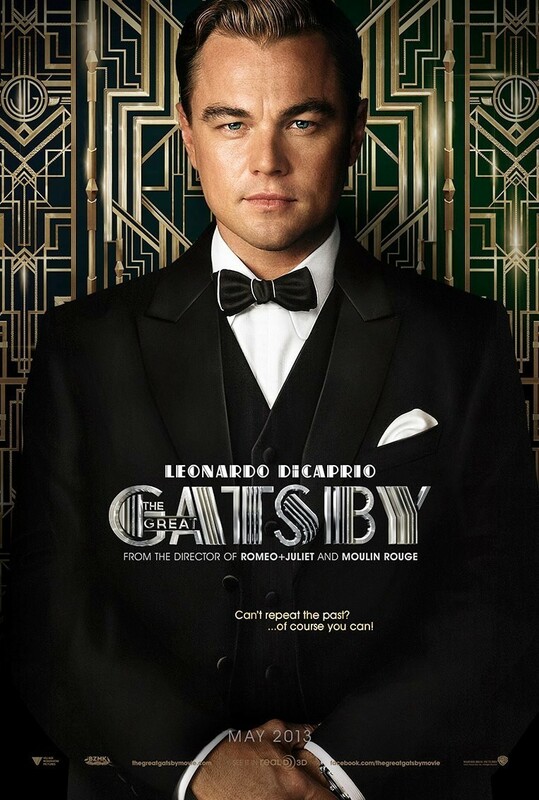 Anyone who hasn’t read The Great Gatsby may find it a lovely, lovely movie. They may have enjoyed its lavish party setpieces, the glorious settings, the indulgent cinematography. And well they might – had it not been an adaptation and an original story, then I probably would have enjoyed it more. 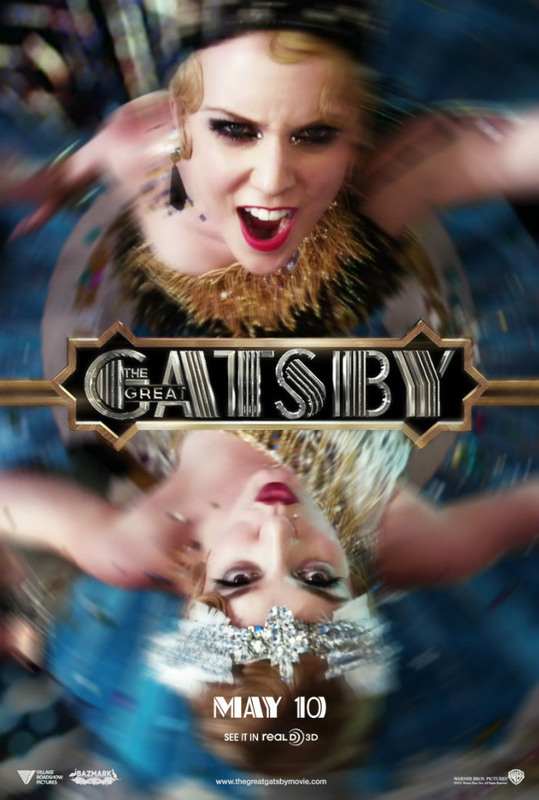 But no one ever comes to this blog for a fence-sitting opinion, so here is mine: for the first hour of Baz Luhrmann’s The Great Gatsby, it was like I had a glitter-covered toddler jumping up and down in my lap screaming “LOOK AT MEEEEE”. And then the toddler went into a coma and no amount of overwrought drama could wake it up. I taught the Great Gatsby to matrics and undergrads for three years. I have probably read it from start to finish about six times. I could likely sit down right now and write a ten thousand word mini-thesis on the themes of Gatsby, none of which seem to have made it into the movie. The Great Gatsby is about failure. It is about the failure of the American dream to provide for all, it is about a man who turns to crime to impress a woman, it is about racism (barely even glimpsed in the movie), it is about failed marriages and cowardice. It even suggests the failure of God. It is ruthless social commentary. It is not a great love story, it is not about overcoming all odds. Gatsby is not an underdog, and Daisy is not worth the attention she gets from him. It is not about the parties, or the fun, or the beautiful, beautiful shirts. And yet, Baz Luhrmann not only turns in a piss-poor understanding of the greater ideas of the novel, but he also fails to elicit any kind of spectacular performance from any of his actors. Di Caprio recently gave an outstanding performance for Django Unchained, after all. As the eponymous Gatsby, he was luke-warm. And this should have been the role that finally, finally, got him the Oscar he so deserves. The only characters that came across well as their book counterparts was the thuggish Tom and the wilting idiot Daisy, who everyone should despise for being so fickle and so careless. Already the internet is gushing with the Pinterest-friendly idea of the great love of Gatsby and Daisy, but how could any love predicated almost purely on a five-year old memory be one for the ages? Daisy goes back to her awful, philandering husband and leaves Gatsby’s life to ruin – thankfully the movie left in the whole idea of her carelessness, and Gatsby’s sad departure. There are some other details worth nitpicking – the soundtrack that delayed the movie by five months. Why have such an incredibly anachronistic soundtrack when every other detail about the time period is so meticulous? It was the time of jazz, not hip hop. Goldfish could have done a better soundtrack that would have suited the time and the tone perfectly. And the mental asylum? There is no suggestion that Nick’s life is ruined afterwards, not that much. Instead, he returns to the Midwest bruised by New York, and simply recounts what happened rather than writing a novel. It was such a clumsy framing device that should have been done away with entirely. This is a serious novel filled with complex themes and characters that was turned into a gaudy, overly dramatic pageant of itself, and that broke my heart. In the hands of a mature director, this could have been the adaptation I have been waiting for for so long. Baz Luhrmann makes a fine art director, but he fails to get across important themes with any sense of weight or pacing: the drama is on the level of The Bold and the Beautiful. Had this been directed by David Fincher of Fight Club fame, or Sophia Coppola (Lost in Translation) or perhaps Jane Campion of The Piano, we might have had a movie that encompassed the themes that have made Gatsby still echo nearly a hundred years later. Instead, all I got was this tub of stripper glitter.